Whether you're of legal drinking age or not, you may get asked to be a designated driver (DD). 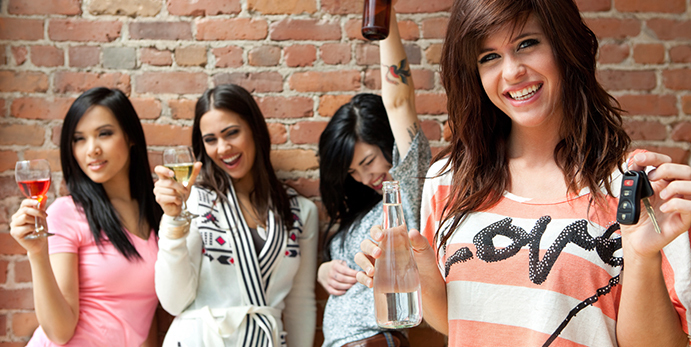 A designated driver is the person responsible for driving inebriated individuals. A designated driver will provide safe transportation to and from an event. This way you won't need to worry about an alcohol-related accident or getting a DUI. But if you've never been a DD before, you may need some pointers on how to be a designated driver. First of all, if you're hesitant about being a designated driver, think again! There are plenty of benefits to being the DD. For starters, you'll enjoy waking up without a hangover. You'll also get plenty of free entertainment by being the only sober person among the group. And, if you're of legal drinking age, you just might be able to get a friend to return the favor the next time you go out. Still, there are some tips you'll want to keep in mind as you prepare for your first DD experience. First, don't give in to peer pressure to drink alcohol when you're a DD... Ever. If you're going to a large party or event, expect people to ask you why you're not drinking or offer to buy you drinks. Too often, one drink turns into a second drink, which turns into yet another drink. And before you know it, you're too drunk to drive everybody home. Not a good situation. To avoid pressure to drink alcohol, consider ordering virgin cocktails. If it appears to others that you're drinking, they'll be less likely to try and force alcohol on you. Before you leave, have a conversation with your friends about your expectations. Set some ground rules. Specify a time to leave, along with a place to meet. This should avoid the hassle of convincing people that it's time to go or trying to find lost friends. When it comes time to drive everybody home, make sure nobody is bringing any open containers. All it takes is one open container in your car for you to get a traffic ticket if you're pulled over by a police officer. Any open alcohol containers will need to be either thrown out secured in the trunk of your vehicle. Last but not least, know when it's in your best interest to hire a cab for the night instead. There are situations where you may not be comfortable being a designated driver. You may want to enjoy a few drinks--such as during a holiday party. If everybody in your group goes in on a cab, the fare per-person shouldn't be expensive. Plus, you'll save your driving record, and potentially lives as well! These are just a few guidelines to keep in mind as you prepare for your first DD experience. By following these tips, you can be sure everybody has a good time and gets home safe.